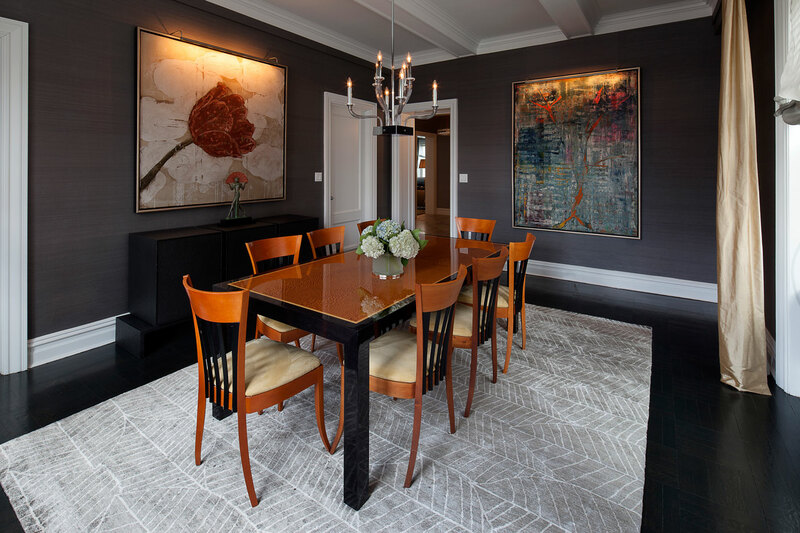 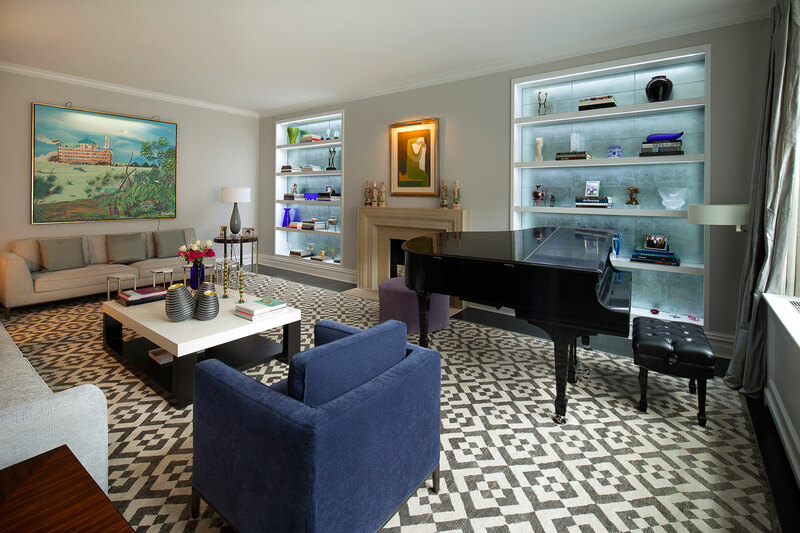 In a contemporary design of furnishings within the backdrop of a pre-war apartment on Park Avenue, original details were preserved and enhanced. 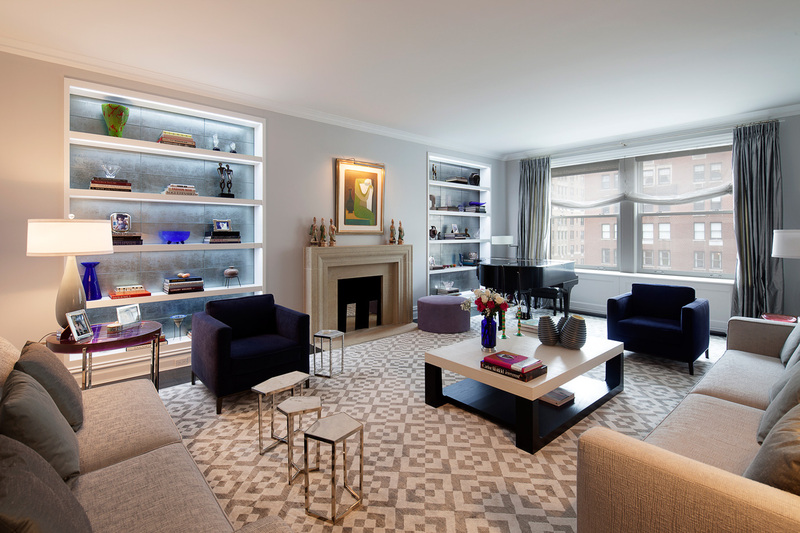 The apartment was fully renovated, with new sound insulated windows along Park Avenue and new mechanical systems. 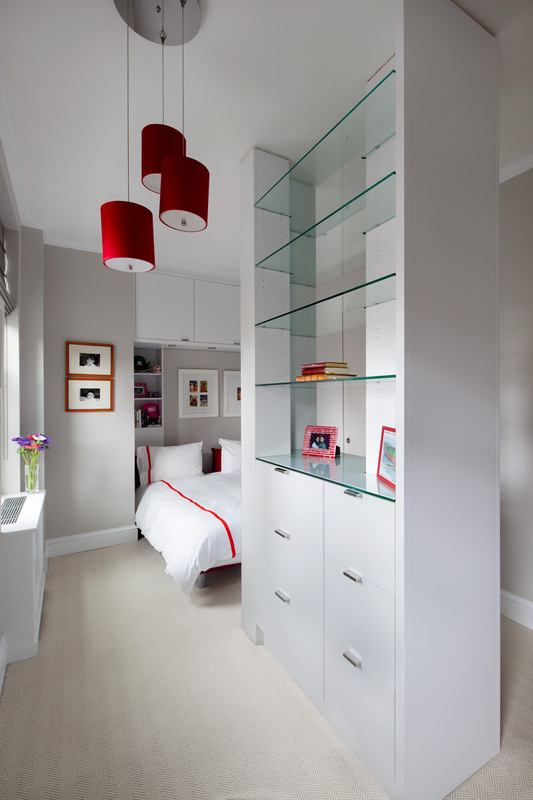 A new bedroom was created from the laundry/service room. 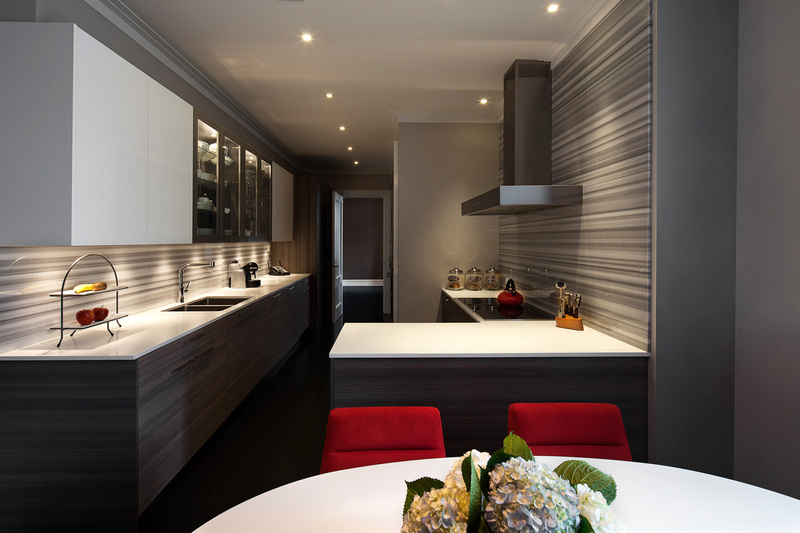 The custom kitchen has an Olympic grey marble counter and backsplash, and its horizontal striated pattern expands the linear sense of space. 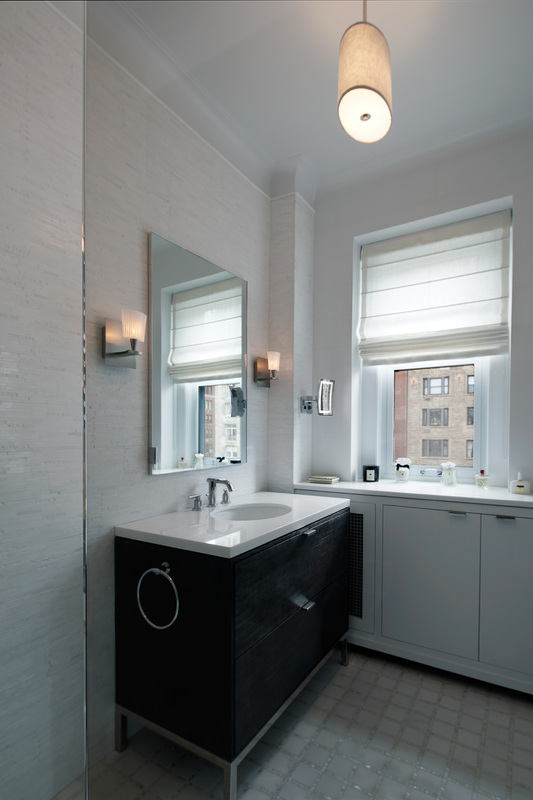 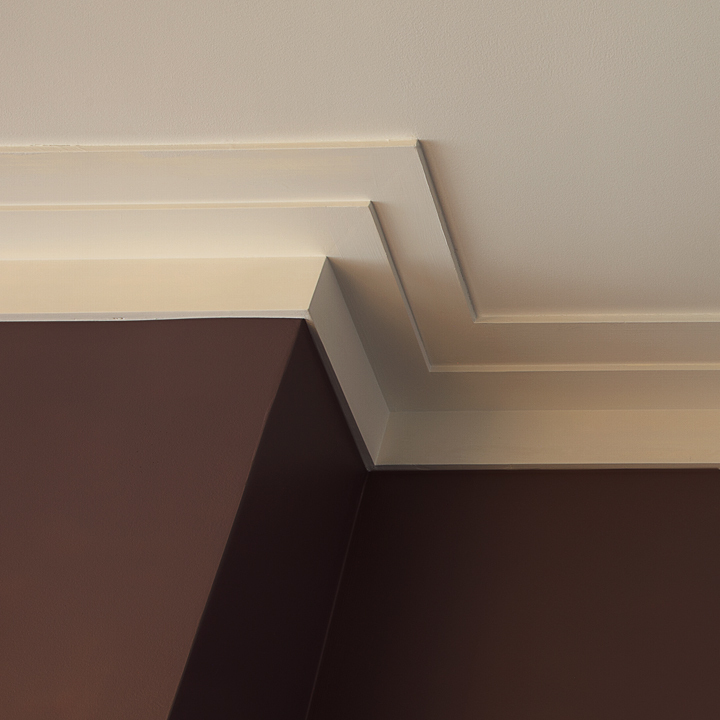 The custom designed millwork with a dark stain finish was incorporated throughout the apartment, in the library and vanity in each of the three bathrooms. 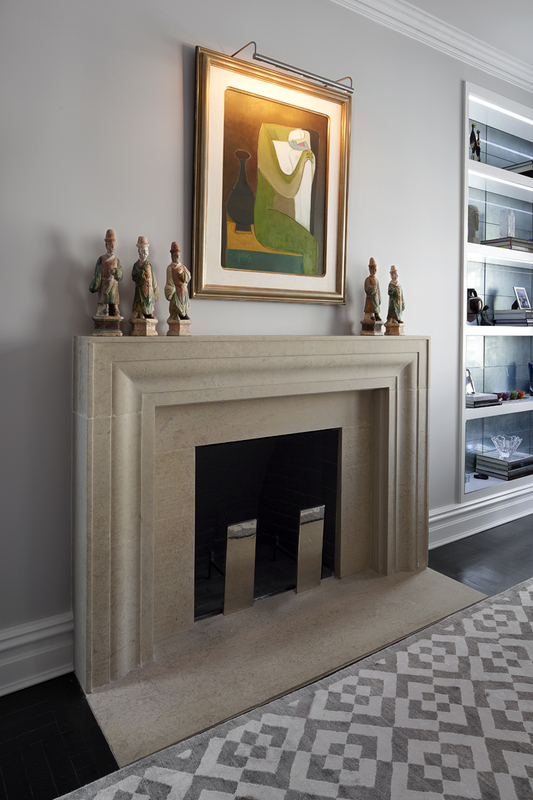 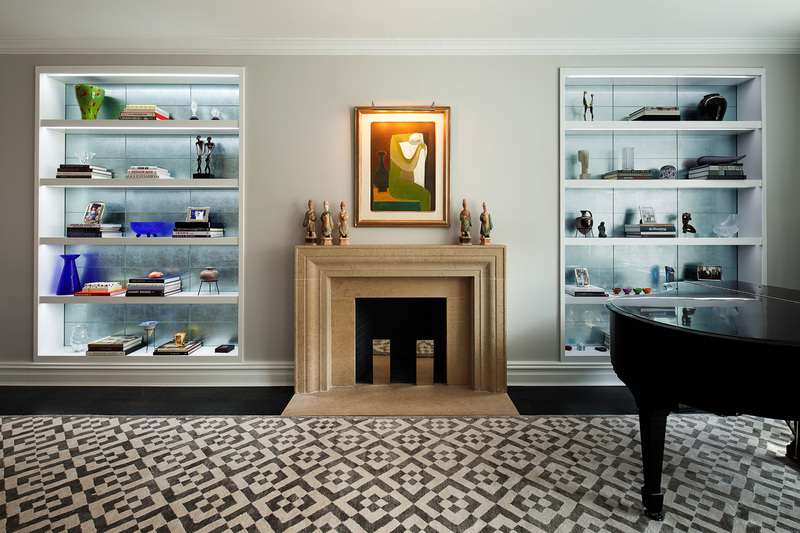 In the living room, niches were created for illuminated shelving, providing for a dramatic display of artwork. 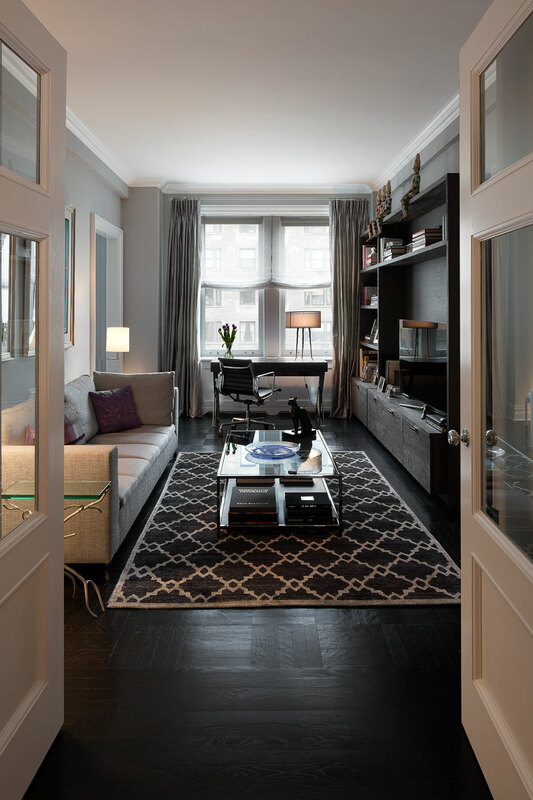 The existing wood floors throughout were stained in a dark finish to blend all the different species into one palette.